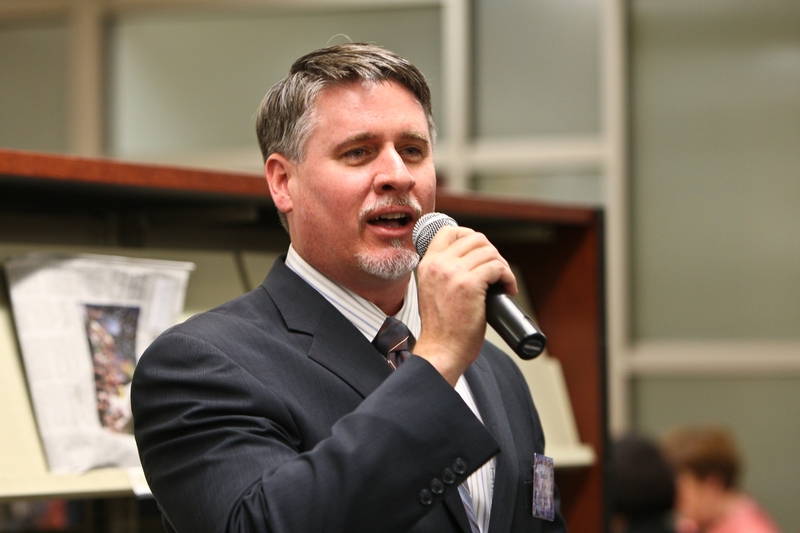 HENDERSON, Nev. – Tom Fay, executive director of Henderson Libraries since 2004, has accepted a position as the deputy director of Las Vegas-Clark County Library District and will be leaving his position at Henderson Libraries. His last day with Henderson Libraries is July 12, and his last official meeting with the board was June 20. His first day with LVCCLD will be July 22. Henderson Libraries has not yet embarked on a search for a new executive director. Gayle Hornaday, who has been with the district for more than 19 years and currently serves as assistant director, has been named interim executive director until a permanent selection can be made. Fay took the helm of Henderson Libraries after more than two decades of experience working in Nevada libraries. A Southern Nevada native, his career in libraries began in 1983 as a page at the Overton Library, a branch of the LVCCLD. He served LVCCLD for 15 years in a variety of positions before working with the Cooperative Libraries Automated Network and the Nevada State Library and Archives in Northern Nevada, gaining experience in public, academic, school and special libraries throughout the state. Active in the community, Fay currently serves on several boards, including vice-chair of the city of Henderson’s Redevelopment Advisory Commission and the chair, of Nevada Humanities. Fay was the class speaker for Leadership Henderson class of 2004 and is a member of the Henderson Chamber of Commerce. He is also a member of the Clark County School District’s Partnership Advisory Council and past president of the Nevada Library Association. Fay graduated with his bachelor’s degree in fine arts from the University of Nevada, Las Vegas and his master’s degree in library and information science from the University of Wisconsin, Milwaukee. The award-winning Las Vegas-Clark County Library District is a $67 million independent taxing entity that serves a diverse community over 8,000 square miles. Through its 25 branches and robust website, the Library District offers more than two million books, audio and video, eMedia, homework help and free programs for all ages. The Library District provides welcoming and inspiring spaces for reading, learning and achieving, and the tools and resources that families, children, teens and adults need to succeed.